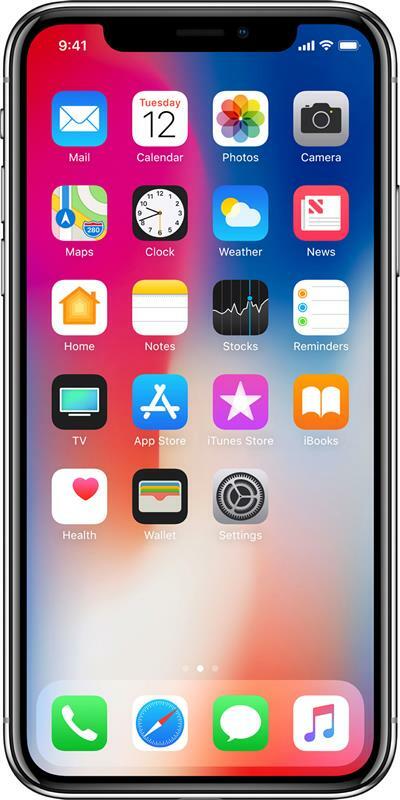 Apple iPhone X Design has 16 user pros and cons opinions and 52.9% Design overall satisfaction rating. The back of the iPhone X looks cleaner than the last year's iPhones with just the word iPhone and Apple logo at the back and that's it, no unnecessary text. The edges of the iPhone 10 aren't sharp but folded, which feels very comfortable to hold the phone in the hands. This is especially important when using the phone for a long period of time. It's beautiful to see how the front glass blends with the metal frame. Something that is done really poorly in many phones is done so perfectly on the iPhone X, a great attention to fine details. It's not the slimmest smartphone out there, but the iPhone X is still a very slim and elegant phone nonetheless.. The rear camera has a sapphire crystal lens cover to protect the rear camera's lens from scratches. The iPhone X comes with splash, water and dust resistant. 6 means complete protection against contact and 7 means that the phone can be submerged up to 1m in water for up to 30 minutes without being damaged. The all-glass front and back looks amazing. It gives the phone its unique premium and sophisticated look and feel. This is also the more durable glass use on an iPhone to-date. The iPhone 10 has IP67 rating, whether phones like the Galaxy Note8, Galaxy S8/S8+/S8 Active, LG G6 and others come with IP68 rating. This means they can be used in higher depth up to 1.5m compared to IPx7 which is limited to up to 1m. So lesser water protection for the iPhone X. The iPhone X is made of glass instead of metal to make the wireless charging work, but it's still glass and it more prone to break compared to aluminum. The being said, Apple did mention that it's the strongest glass on any smartphone. I'm sure some will put it to a test. I was expecting more cool colors, but the iPhone X, at least as of the time of writing, comes only in Space Gray and Silver colors. Hope more colors will come soon. I don't really like the protrusion of the camera at the back, makes the back much less streamlined. The front part of the screen is cutout to include the front camera and other sensors of the iPhone X, but it really make the front look really awkward..